Mermaid and Other Water Spirit Tales From Around the World (still discounted to $31.57) has the full ballad of The Mermaid of Galloway by Allan Cunningham that I mentioned in my earlier Mermaid Music and $2 Off Today Only when I recommended Emily Smith's vesion, The Mermaid Of Galloway. So I thought I would share it here today. Please note that Smith's is modernized somewhat, but that is often a boon to modern listeners. She kames her yellow hair. Is charm’d wi’ her melodie. Nor wakens an earthly ee. In a net o’ sea-green silk. She raised a lightsome sang. To listen the sweet maid’s song. And dighted his red-wat mou’. Sax miles that maiden roun’. Comes thro’ the green wood to me. An’ lightlie lap he down. ‘If skaithless hame ye ’d win. As thro’ the green wood he ran. Washed wi’ the white sea faem. Aboon thy bonnie blue ee. Leafed wi’ the siller twine. Wi’ red gold flow’red down. An’ take me maiden hame. An’ bind wi’ gold yere brow. It’s time I were awa’. An’ knotted it roun’ his brow. Were knotted owre his bree. Down spread in ladie bower. Amang the white sea faem. As she sought the white sea-faem. Looked for her blythe bridegroom. An’ blinks the bride away. Maun blossom in my bower. Afore the grey morn cam’. Sat wi’ a tear-wet ee. In every bird which sung. An’ looked lang and sair. An’ soundlie did she sleep! Had pou’d the silken string. Was laid on her breast-bane. Cunningham, Allan. Poems and Songs. London: John Murray, 1847. Through tonight--so act now--Amazon has $2.00 off an MP3 music purchase with the code CLOUDMP3. You can read the details of how to redeem it here. You don't have to spend more than $2.00 so you are essentially getting that much music free. One of my picks is Emily Smith's full CD or two songs from it, May Colven and The Mermaid Of Galloway, since they go with our most recent hot topics on the blog. May Colven is a ballad of the Child variety, connected with Bluebeard. The Mermaid of Galloway is a ballad by Allan Cunningham that Emily Smith has modernized a bit. Both are excellent. Or there is Captain Jack and the Mermaid by Meg Davis. And one of my personal favorites because I am quite simply a huge Great Big Sea fan. And the code will work on anything, of course, but I wanted to make recommendations pertinent to this site, but you can get anything from Lady Gaga to Buddy Holly or a salute to him . All up to you. If you are in Michigan anytime before September, you can visit the Fairy Tale Art exhibit I wrote about in January after seeing it Mobile, Alabama this past December. I spent a week or so sharing the art, too. The best part for me in the six months since have been the times my family has mentioned the imagery from the exhibit. My mother was talking about Kinuko Craft just last week. The exhibit is currently at the Edsel & Eleanor Ford House and is getting a lot of supporting programming at the museum, including a festival, workshops and music. 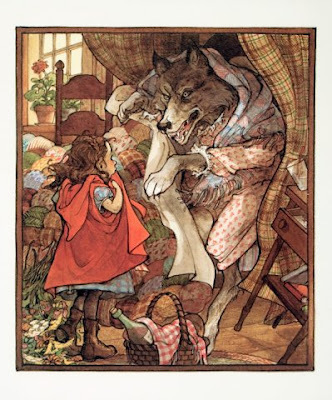 This summer, Edsel & Eleanor Ford House and MetroParent Magazine will celebrate the magical, multi-cultural world of fairy tales with Fairy Tale Art, an exhibit featuring 59 original illustrations from well-loved classic fairy tales as well as modern variations on traditional tales. The exhibit will run July 16-September 18. On July 23, the Ford House grounds will transform into an enchanted Fairy Tale Festival as visitors young and old escape for a day of imagination and wonder. The magic of fairy tales will be brought to life through music, performance, theatre, activities, storytelling and more. Building on the Michigan Library summer reading theme of “One World, Many Stories,” story tellers from around Michigan will share tales from different cultures as well as the favorite story of Rapunzel presented in a variety of ways from around the world. Story circles will provide a quiet place under a tree for little princes and princess to relax and enjoy some of their favorite tales being told. Multiple stages will feature a variety of performances, such as Magical Tunes & Marvelous Tales by the Michigan Philharmonic and fractured fairy tales - a parody of traditional fairy tales rearranged with new meaning – will be enacted by Grosse Pointe Theatre. Magic Carpet Ride Theatre will take literature and engage the audience in an interactive dramatic production. Plus puppets, music, crafts and more. But proving fairy tales aren't just for children, writing and illustration workshops for teens and adults will also be held in the summer. August 2 / 7 p.m. Cost: $10.00 / Click here to purchase tickets. Wayne State University professor Dr. Donald Haase , a noted expert on the fairy tale, will consider fairy tales from an adult perspective. His talk, "Not Just for Bedtime Anymore: Fairy Tales for the Wide Awake," will explore the use and abuse of fairy tales and our continuing fascination with them in print, film, and other expressive forms. August 9 / 7 p.m.
August 16 / 7 p.m. Cost: $15.00 / Click here to purchase tickets. Guests will become familiar with foundational illustration methods as well as the technical uses of various mediums, while offering insight on the process of illustrating children's books. August 9 / 6:30 p.m. Cost: $15.00 per person / Click here to purchase tickets. Enjoy an enchanted evening that begins with delightful desserts in the Costwold Cafe. Afterwards, you'll be greeted at the Play House by a fanciful fairy who will read a favorite tale. All children will receive a book to take home, courtesy of Friends of the Grosse Pointe Library. Recommended for ages 2-8. August 11 / 6:30 p.m.
August 6 / 10 a.m. Cost: $12.00 per child / Click here to purchase tickets. Capture the magic of childhood during this wonder-filled workshop. Children and their adult companion will use natural materials to create their own interpretation of a fairy house. Completed houses will be placed in the Ford House grounds to attract any resident fairies. They will also hear a story and make a fairy terrarium to take home. Recommended for ages 5-8. Escape for a day of imagination and wonder as the magic of fairy tales are brought to life through music, theatre, activities, storytelling and more on the enchanting Ford House grounds. The main stage brings fairy tales, stories and music from around the world. A delightful mix of traditional and new classics, including music from Beauty and the Beast and Pirates of the Caribbean. A theatrical experience in reading that brings the audience into the story! Exquisite puppets bring the story of Jack and the Beanstalk to life as Jack finds himself on a journey through the clouds. Get moving to the sounds of Marimbamania! with music from around the world. Building on the One World Many Stories theme of the Michigan Library Association's summer reading program, well-loved storytellers will share tales from around the globe. Loretta Vitek will tell the story of Rapunzel in a variety of ways as it has been told in different cultures. Rosie Chapman will share unforgettable African folklore and tales and fables from around the world. Be part of the fantasy and escape into the magical world with hands-on activities, character visits and more. Join Radio Disney for a "fantastical" make-and-take craft, temporary tattoos and a coloring station. 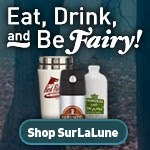 Plus, enter to win the ultimate Disney Fairy Tale gift basket. Pretend you're Alice as you play croquet with the Queen of Hearts and her Chessmen or try your hand at a life-size chess game in the garden. Then visit the Mad Hatter for some tasty treats. The stately footman will help all princes and princesses climb inside this enchanting carriage to wave to the subjects below. Visit the three little pigs outside their houses of straw, sticks and bricks. Or pet one of Mary's fluffy little lambs. Leave your artistic mark by coloring a piece of a huge mural, featuring elements of children's books and fairy tales. Whether it's a swashbuckling pirate, little red riding hood or a fairy princess, characters from favorite fairy tales will be strolling throughout the festival eager to meet festival goers. Gather round and relax on a blanket under a shady tree as local elementary school teachers, principals and librarians read their favorite fairy tale. Entertainment will be found throughout the enchanting grounds of Ford House including Fractured Fairy Tales performed by Grosse Pointe Theatre and Classic Children's Music performed by Russ Glenn. To go along with the previous post, I wanted to share the videos for the Once Upon a Tile by InterfaceFLOR advertising campaign. This company certainly put forth the time and money to create a complex and visually interesting campaign. But what do you think about it? This was one of my favorite finds while researching for Mermaid and Other Water Spirit Tales From Around the World . If you read it, you'll probably figure out why! I’LL tell you, mates, how she came to sea! For she was the gel for a Sailor! And live the life of a Sailor! Heave at the windlass! yeo heave ho! Up with the anchor! away we go! Hurrah for the life of a Sailor! For his savage jib couldn’t quail her. And I stared and stared, and says I, “I’m blest! And our ship hove to for to hail her. Then up jumped Sue with the breeches on! And the Mermaid’s cheeks grew paler! “There’s a gel aboard and her name is Sue! While Sue she embraced her Sailor! Buchanan, Robert. The Complete Poetical Works of Robert Buchanan, Volume II. London: Chatto & Windus, 1901.